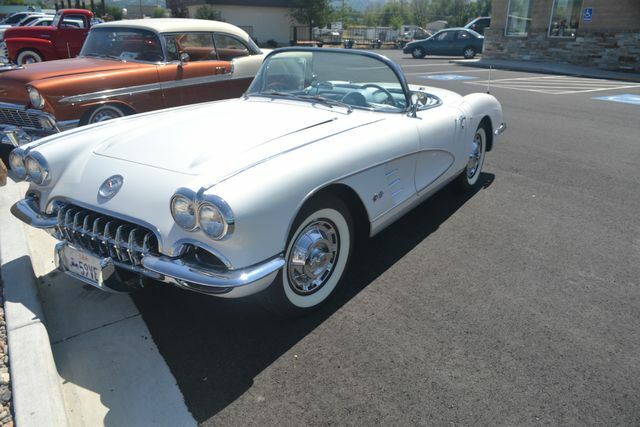 This 59′ Corvette is one of our favorites in our showroom, with it’s glossy white exterior paint and its light blue interior. It comes with a hard top and a soft top, and comes with the factory steering wheel and radio. The odometer reads the original miles. Come take a look at it today!